Ben Gross is a Counsellor working with young people and adults. He delivers INSET training in schools and leads nature immersion family camping retreats. Ben Gross works as a Lecturer on the Introduction to Counselling course at the University of Greenwich, as a School Counsellor in an infant and secondary school (each one day a week) and has a private practice for young people and adults. He has worked as a school counsellor since 2006 in mainstream schools and special schools for young people with social, emotional and mental health needs. He is a specialist teacher for children with autistic spectrum disorder (ASD) and is experienced at counselling young people with ASD. He is producing and curating a personal development retreat for young people (aged 18-21) in September 2019. In 2006 Ben Gross gained an MSc in Psychodynamic Counselling with Children and Adolescents from Birkbeck College, University of London and he is an accredited member of the British Association for Counselling and Psychotherapy (BACP). 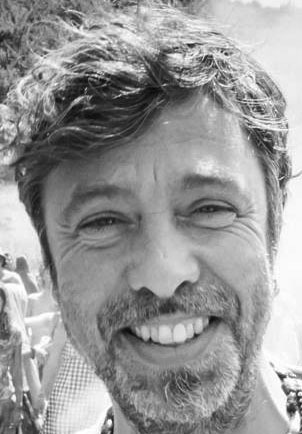 He has worked as a teacher since 2000 and is an experienced primary and secondary teacher and teacher-trainer, specialising in mental health and emotional well-being. Before that he was a Team Leader in London for a charity which provides therapy for young people called The Place To Be. He currently teaches .be Mindfulness to students in a secondary school. He delivers training in primary and secondary schools on School Counselling, Peer Support Initiatives (Peer Mentoring, Peer mediation and Buddies), Social, Emotional and Mental Health, Race-Equality Practice, Anti-Bullying and Mindfulness (.be). He spends much time camping in the wild leading nature immersion experiences for adults and young people. Ben Gross has practised meditation and Qi-Gong for many years. Ben Gross has an up to date dbs certificate (2017) and has atteneded the latest Safeguarding and Child Protection Training (2017). “Protecting Clients’ Privacy,” in the BACP quarterly journal, Children & Young People- For counsellors and psychotherapists working with young people, September 2016.